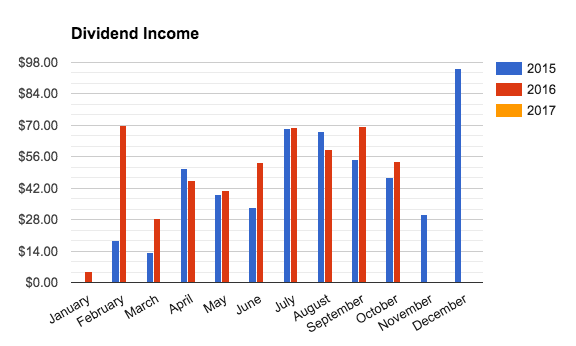 I have collected $494.78 in dividend income so far this year! This month I received income from FOUR different sources. This is ten less than September. 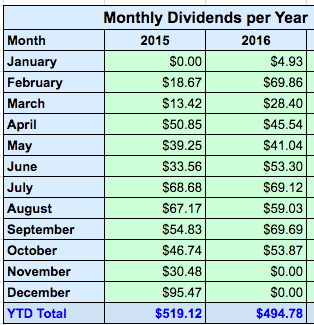 Compared to 2015 my dividends in October went up by 15.25%. 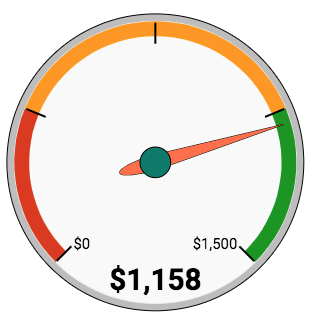 It is a decent increase due to changes in my portfolio year over year and portfolio starting to take shape. ** As always see more charts below thanks to my friend at Two Investing. If you have not visited his site yet, I strongly recommend you do so. I found his Dividend Spreadsheet extremely useful. The Screenshots below are from his workbook, which give a good overview of the direction I am headed in. As always I appreciate everyone who has viewed and commented on my blog. I strongly encourage you to comment even if you are just messaging that you have visited. I'd like to hear your thoughts and views. I'm not an investment professional or a licensed financial advisor. This blog represents my personal views and decisions, which may not be appropriate for other investors. Please use common sense or consult with an investment professional before investing your money. I am not responsible for the outcomes of your decisions, nor am I responsible for the comments posted by readers or the contents of any linked websites. This blog should viewed for educational or entertainment purposes only.